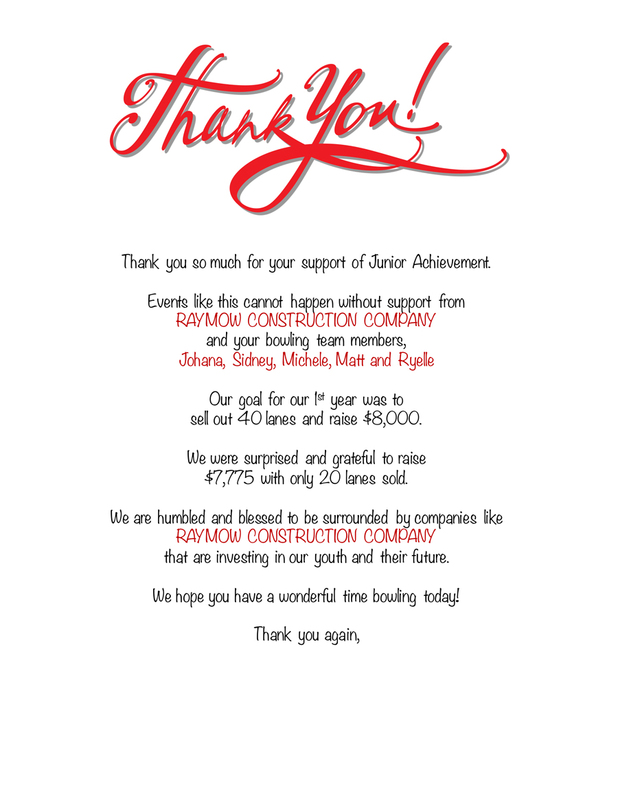 Raymow Construction supported the Junior Achievement Bowl-A-Thon fundraiser on February 6th. The Junior Achievement® Bowl-a-Thon is a one-of-a-kind annual team building event, giving supporters the opportunity to work together, strategize, bowl, and raise money for Junior Achievement and their work to inspire the next generation to navigate their path to the American dream. We are proud to be a part of this special event! Looking for a quote on your next project? Raymow is committed to providing quality work at reasonable rates to our clients, while creating and maintaining a safe work environment to our employees. © 2016 Raymow Construction Inc. Web Design by Roberts Printing Inc.